I have good news and bad news. First, the good news . . .
With a history of driving up lab utility bills more than their share, it’s good to see compressor-based ultra-low freezer manufacturers aspiring to develop more energy-efficient ULTs. We applaud this effort and are encouraged to see the lab sustainability imperative gaining a foothold within the research community. In a relatively short time, I believe that Stirling Ultracold has played a positive role in helping to change the industry mindset. By introducing an innovative, energy-efficient cooling technology to the ULT marketplace, we have proven that dramatic sustainability improvements are possible without compromising cooling performance or system reliability. The industry’s move toward energy efficiency has led some to perpetuate the disproven myth that cooling integrity must be compromised to save energy. In a world that assumes all ultra-low freezers are powered by inherently inefficient compressor technology, this myth actually appears to be true. However, it’s not true in today’s world, where the Stirling engine is a proven alternative to compressors. That’s why cascade freezer manufacturers would like you to forget that the myth of “necessary compromise” has been disproven by the Stirling SU780UE, through years of third-party data, an independent DOE study and EPA industry-standard test results. The false axiom that cooling performance must be traded for energy savings and economy has been designed into some compressor-based ULTs. By offering two operation modes, these freezers either prioritize energy efficiency or cooling performance (i.e. temperature stability) based on operating conditions and/or user selection. However, they can’t have both at the same time! Is it realistic to ask a researcher, who has years of work depending on the preservation of precious biological samples, to make a choice that reduces cooling performance integrity . . . for any reason . . .at any time? 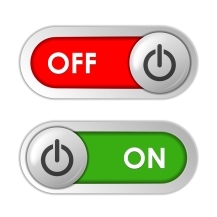 Energy managers, who have little control over day-to-day ULT storage operation, might well assume that energy efficiency will be turned “off” if there is even the slightest perceived risk to sample security or piece of mind. Why make this false choice when you don’t have to? With the Stirling SU780UE, you’ll use less energy than any comparable ULT freezer, while preserving biological samples with the industry’s best cooling performance integrity . . . all at the same time. 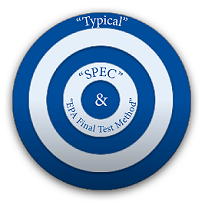 What’s the Difference Between “Typical”, “Specification” and “Final Test Method”? For anyone out there who is confused about which upright ultra-low freezer has the lowest energy consumption in real world conditions, let me make it simple for you . . . According to test data, publically submitted using the EPA ENERGY STAR® Final Test Method, the Stirling Ultracold SU780UE freezer uses 9.24 kWh/day. No other comparable ULT freezer on the market can substantiate energy consumption this low, using the industry standard test method. By the way, we would be more than happy to send you our test data in the required EPA format. Reporting a single overall number, this test method was created by the industry and the EPA to provide a simple way for customers to compare ULT freezer’s energy use. This is analogous to the combined city/highway MPG reported for passenger vehicles by the EPA. For example, a 2015 Subaru Outback has a combined city/highway mileage of 28 mpg (www.fueleconomy.gov). It is well understood by drivers that their actual mileage depends upon a number of factors, including how they drive. Also note that mileage will differ somewhat between one vehicle and another because of manufacturing variability. While this should be simple, there are different ways to test a freezer and there is confusion out there about what is meant by “typical” versus “specifications” published in sales literature. So let’s look at some definitions . . .
What is the Definition of “Typical”? The dictionary definition of the word “typical” is, “representative characteristic of a person or thing.” Some within our industry have chosen to represent ULT freezer energy use as “typical” in their published literature. If a number of identical model freezers are tested, this suggests that some units will be more energy efficient while others will be less energy efficient than stated. Given the lack of a clear definition here, it would be reasonable to assume that “typical” is the average, suggesting that about half the freezers will perform worse than typical. This terminology is even less clear, and even less useful, if the manufacturer uses a proprietary test method, which may bear no resemblance to actual operating conditions. What is the Definition of “Specification”? To summarize and contrast these two definitions . . . A “specification” is a promise. “Typical” performance is not. We’re proud of our energy use specification and we test every freezer we manufacture to this standard. Because test methods vary, you should not rely on sales literature when making a ULT buying decision, and you should always ask the freezer manufacturer to provide test data using the published EPA ENERGY STAR® Final Test Method. If they cannot provide this data, you should question the integrity of their marketing material. The fact that our published spec varies only slightly from the EPA test, which prescribes door openings in the procedure, only proves my point. Integrity and transparency are important in an industry where numbers are thrown around so casually. By the way the typical energy consumption of our freezers shipped during September was 7.9 kWh/day! This compares to a specification of 9 kWh/day. In the interest of transparency, I am defining “typical” here to mean the average at a -80°C set point in steady state operation―with the door closed. Posted in Research Facilities, Sustainability Leave a Comment on What’s the Difference Between “Typical”, “Specification” and “Final Test Method”?